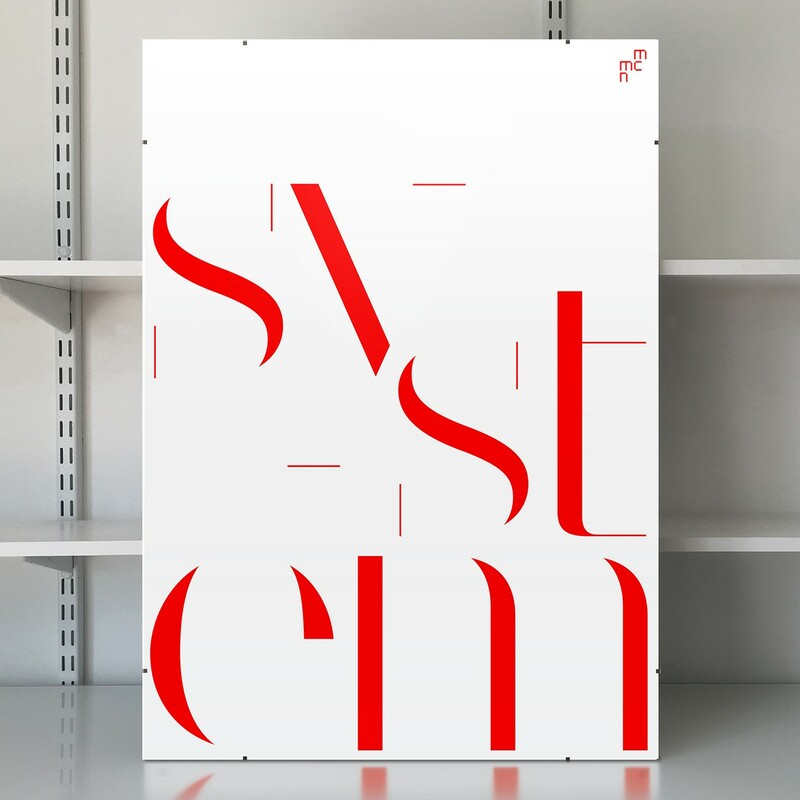 MuirMcNeil Stem is a display type system that was first published in 2016 as a development of MuirMcNeil Cut, a stencil type collection inspired by historical designs. In 2018, it was revised and expanded as a comprehensive type collection in two styles each drawn in five corresponding weights. Following principles similar to those used for Cut, MuirMcNeil Stem is modelled on the strokes and proportions of the radical typefaces produced in the late eighteenth and early nineteenth centuries by typefounders such as Firmin Didot, Giambatista Bodoni and Robert Thorne. The sharp contours, extreme contrast and vertical stress of these early ‘modern’ types has been deliberately exaggerated in both Stem variants. In Stem A, letterforms are reduced to slender strokes that dissolve into open intervals, resulting in flat, razor-sharp serifs that are detached, while Stem B also features many curved segments and floating ball terminals. The systematic construction methods used to assemble Stem’s characters follow the approach of modernist types created in the early twentieth century, where letters were broken down into sets of basic geometric components that could be repositioned, repeated, resized or reflected to build complete alphabets. These designs and their antecedents can all be seen as foundational to the development of a typographic lineage that is rational, reductive and modern, and which the MuirMcNeil Stem collection celebrates.